Aug. 28, 2015 /PRNewswire/ -- A new survey from CVS/pharmacy released today found that nearly two in five U.S. adults (37 percent) have missed a life event because they were feeling ill with flu-like symptoms. The most commonly missed events include get-togethers with friends (17 percent), family gatherings (17 percent) and a work meeting or presentation (13 percent). And, because they don't want to miss important life events by having the flu (26 percent). All CVS/pharmacy and MinuteClinic locations nationwide are now offering flu vaccinations.1 The Centers for Disease Control and Prevention (CDC) recommends that everyone who is at least 6 months old get a flu shot as soon as the vaccine is available. "No one wants to get sick with the flu, and getting sick is even worse when it causes us to miss an important life event such as a vacation, wedding, holiday gathering or a child's big sporting event or recital," said Tom Davis, RPh, Vice President of Pharmacy Professional Practices at CVS/pharmacy. "The simple fact is that getting an annual flu shot is the best protection available against catching or spreading the flu." "It is recommended to get a flu shot as soon as the vaccine is available because it takes a couple of weeks for it to build immunity in order to provide you with the best protection before flu season peaks," said Nancy Gagliano, Senior Vice President, CVS Health and Chief Medical Officer, CVS/minuteclinic. "You should also get vaccinated every year because influenza strains may change year to year and the vaccines are updated annually." Among Americans who have ever received a flu shot, 38 percent indicated that convenience plays a major role in their decision about where to get the vaccination. More than 7,800 CVS/pharmacy stores and nearly 1,000 MinuteClinic locations inside select CVS/pharmacy stores provide flu shots every day, including evenings and weekends, with no appointment needed. 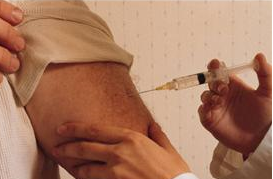 Getting the flu shot at CVS/pharmacy or MinuteClinic is also very affordable. Thirty-six percent of Americans who have ever received a flu vaccine indicated that "where their insurance is accepted" is a determining factor for where they get the vaccine administered. The flu vaccine is a preventive service under the Affordable Care Act, fully covered and available at no cost through most insurance plans, including Medicare Part B. CVS/pharmacy and MinuteClinic can directly bill many national and regional health plans that cover all or part of the cost of a flu shot. The high dose vaccine is available at CVS/pharmacy and MinuteClinic locations for those ages 65 and older. It contains four times the antigens as the regular flu vaccine and is intended to create a stronger immune response for seniors, who are at greater risk of developing severe flu-related illnesses. The quadrivalent flu vaccine is also available and offers protection against an additional influenza B virus than the standard seasonal flu vaccine. In addition to flu shots, CVS pharmacists and MinuteClinic nurse practitioners and physician assistants are available to provide a number of other vaccinations, including pneumonia and pertussis (whooping cough), among others. 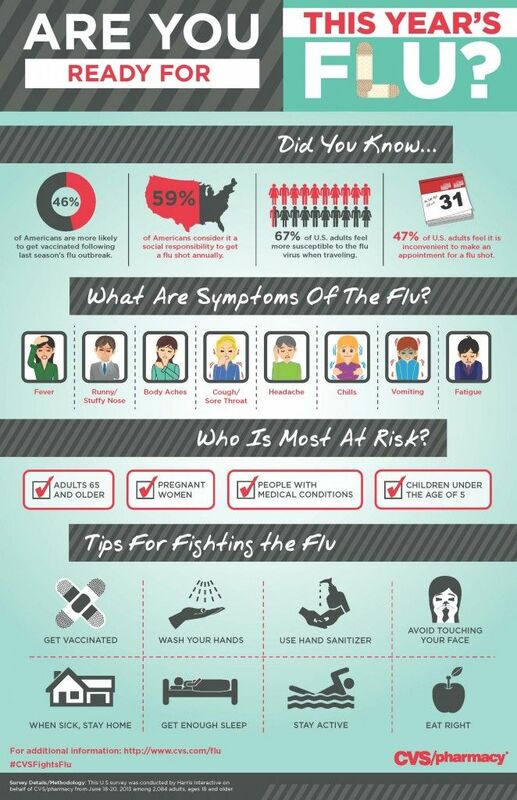 Please visit CVS.com/flu for more information and additional resources. Consumers can also visitwww.CVS.com or use the CVS/pharmacy Mobile smartphone app to locate a nearby store. CVS/pharmacy, the retail division of CVS Health (NYSE: CVS), is America's leading retail pharmacy with over 7,800 locations. It is the first national pharmacy to end the sale of tobacco and the first pharmacy in the nation to receive the Community Pharmacy accreditation from URAC, the leading health care accreditation organization that establishes quality standards for the health care industry. CVS/pharmacy is reinventing pharmacy to help people on their path to better health by providing the most accessible and personalized expertise, both in its stores and online at CVS.com. General information about CVS/pharmacy and CVS Health is available at www.cvshealth.com. CVS/minuteclinic is the retail medical clinic of CVS Health (NYSE: CVS), the largest pharmacy health care provider in the United States. MinuteClinic launched the first retail medical clinics in the United States in 2000 and is the largest provider of retail clinics with nearly 1,000 locations in 31 states and the District of Columbia. By creating a health care delivery model that responds to patient demand, MinuteClinic makes access to high-quality medical treatment easier for more Americans. Nationally, the company has provided care through more than 25 million patient visits, with a 95% customer satisfaction rating. MinuteClinic is the only retail health care provider to receive three consecutive accreditations from The Joint Commission, the national evaluation and certifying agency for nearly 20,000 health care organizations and programs in the United States. For more information, visit www.minuteclinic.com. Researchers find that the brain cells most at risk in the disease consume unusually high amounts of energy, gradually exhausting and killing themselves. Newswise, August 28, 2015 — The death of brain cells in Parkinson’s disease may be caused by a form of cellular energy crisis in neurons that require unusually high quantities of energy to carry out their job of regulating movement, researchers at the University of Montreal reported today. The neurodegenerative disorder affects over 100,000 Canadians and over 1,000,000 Americans. “Like a motor constantly running at high speed, these neurons need to produce an incredible amount of energy to function. They appear to exhaust themselves and die prematurely,” said lead researcher Louis-Éric Trudeau, a professor at the university’s Departments of Phamacology and Neurosciences. The research article, published today in Current Biology, includes contributions from Consiglia Pacelli, Nicolas Giguère and Marie-Josée Bourque, also of the University of Montreal, and Martin Lévesque and Ruth Slack, of Laval and Ottawa universities, respectively. The findings are in some ways a culmination of Trudeau’s 17 years of studying the part of the brain that causes Parkinson’s disease, schizophrenia and drug addiction. His findings could open the door to the creation of better animal models of Parkinson’s disease and the identification of new treatment strategies. “For some unknown reason, it has been incredibly difficult to reproduce the symptoms of Parkinson’s in mice, even when introducing in the genome of these animals the same mutations found in humans afflicted by familial forms of the disease. Our discovery provides a new lead to potentially overcome such difficulties” Trudeau explained. Improved animal models open a variety of new avenues of research. “It’s possible that new medications could be developed to help the neurons in question reduce their energy consumption or produce energy more efficiently, which would reduce accumulated damage over the years,” Trudeau said. His team is already looking at the possible next steps with Professor Slack and her colleague Professor David Park. Unlike Alzheimer’s, which has a wider-ranging impact on billions of brain neurons, the primary symptoms or Parkinson’s are caused by the death of tens or hundreds of thousands of neurons in a few more restricted areas of the brain, including regions called the substantia nigra (literally “the black substance”), the locus ceruleus and the dorsal nucleus of the vagus nerve. Key to the mystery may be mitochondria, the powerhouses that allow cells to grow and neurons to conduct electrical signals and release their chemical messengers such as dopamine, noradrenaline and acetylcholine. For the past three years, the research team carried out numerous experiments in order to identify why mitochondria in neurons of the substantia nigra work so hard and apparently lead neurons to “overheat”. They discovered that this overheating could be caused by the fact that these neurons have an amazingly complex structure with a large number of extensions and neurotransmitter release sites, much like a tree with numerous branches. Providing energy to these numerous branches may make the neurons particularly vulnerable, leading, in the context of aging, to malfunction and cell death, thus triggering Parkinson’s, with the onset of symptoms generally at around age sixty. “Our work supports the theory that very complex neurons like those found in the substantia nigra force the mitochondria to constantly work at burnout rates to produce energy. This would explain the accelerated cell deterioration,” Trudeau explained. Professor Trudeau notes that the most common neurodegenerative diseases are particularly challenging for researchers, because in a way, their increasing prevalence is the result of increased life expectancy. “From an evolutionary standpoint, some of our neurons are perhaps just not programmed to last 80, 90 or 100 years, as we are seeing more and more. It’s to be expected that certain parts of our body are less able to withstand the effects of time,” he said. However, given the more localized nature of Parkinson’s disease (compared to other afflictions), an effective treatment may be discovered in the not-too-distant future. Nevertheless, Trudeau points out that his primary goal is to develop a fundamental understanding of the mechanisms of the brain in order to shed new light on neurological disorders. Professor Louis-Éric Trudeau and his team are affiliated with the University of Montreal’s Groupe de Recherche sur le Système Nerveux Central, Department of Pharmacology and Department of Neurosciences. Trudeau and his colleagues published “"Elevated mitochondrial bioenergetics and axonal arborization size are key contributors to the vulnerability of dopamine neurons" inCurrent Biology on August 27, 2015. The research team received support for this project from Brain Canada in partnership with the Krembil Foundation, as well as from Parkinson Society Canada. Newswise, August 27, 2015 — A physical therapy researcher with the IU School of Health and Rehabilitation Services at Indiana University-Purdue University Indianapolis has been awarded a $465,000 National Institutes of Health grant to optimize aerobic exercise training for patients with pulmonary arterial hypertension, a goal data suggests could reduce morbidity and mortality among those with the disease. 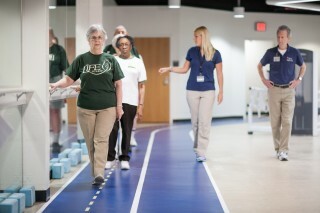 Traditionally, it had been thought that these patients, who often struggle to walk across a room or climb a flight of stairs, shouldn’t exercise, said Mary Beth Brown, an assistant professor in the Department of Physical Therapy. “It’s only in the last decade that the first evidence came out that exercise may be okay and may even be beneficial”, Brown said. Pulmonary hypertension is high blood pressure that occurs in the arteries in the lungs. Blood vessels that carry blood from the heart to the lungs become narrow, forcing the heart to work harder to pump the blood through. As the pressure builds, the heart's right ventricle must work harder to pump blood through the lungs, eventually causing the heart muscle to weaken and eventually fail. While researchers believe exercise is beneficial, the best approach to maximizing those benefits and minimizing risks has yet to be discovered, Brown said. One thing that happens with pulmonary hypertension is that tolerance for exercise, even walking short distances, worsens over time, Brown said. Researchers believe that is due in part to skeletal muscle and heart muscle metabolism failing to generate energy as efficiently as they had before the onset of the disease. Regular exercise is expected to help with the exercise intolerance in pulmonary hypertension because exercise is known to reverse or at least ameliorate the inefficient energy metabolism of other diseases, Brown said. “If we can find an exercise protocol that will improve blood pressure in the lungs, and thus the load on the right heart, in addition to promoting improvement in skeletal muscle and heart metabolism, we could actually slow the progression of the disease,” Brown said. She has already tested, for the first time, in a rat model with a mild form of pulmonary hypertension, the use of high intensity interval training, which alternates short periods of intense exercise with less-intense recovery periods. The results were startling, Brown said. She found improvement in blood pressures in the lungs, not only during exercise but at rest as well. Further, the enlargement in the size of the right ventricle, caused by pulmonary hypertension, was reversed. With the NIH grant, Brown will now conduct similar high intensity interval training using a rat model with a more severe form of pulmonary hypertension to see if there is as much or more benefit as occurred with a mild form of the disease. She will employ implantable telemetry to measure pulmonary pressures during exercise in her rat model, over course of disease development and treatment, which has never been done. “That’s important because patients don’t always have problems when they are just resting. They have them when they are walking across the room or going up a flight of stairs,” Brown said. With findings from an earlier study that showed a drop in pulmonary pressures to normal levels for a period of time in animals that performed a single exercise session, Brown’s research will determine which exercise protocols give the best window of time of normalized pulmonary pressures, Brown said. August 27, 2015--FINDINGS: Researchers led by the UCLA Fielding School of Public Health examined HIV testing trends among adults ages 50 through 64 both before and after 2006, when the Centers for Disease Control and Prevention (CDC) recommended that most doctors automatically screen all patients for HIV regardless of whether they have symptoms. 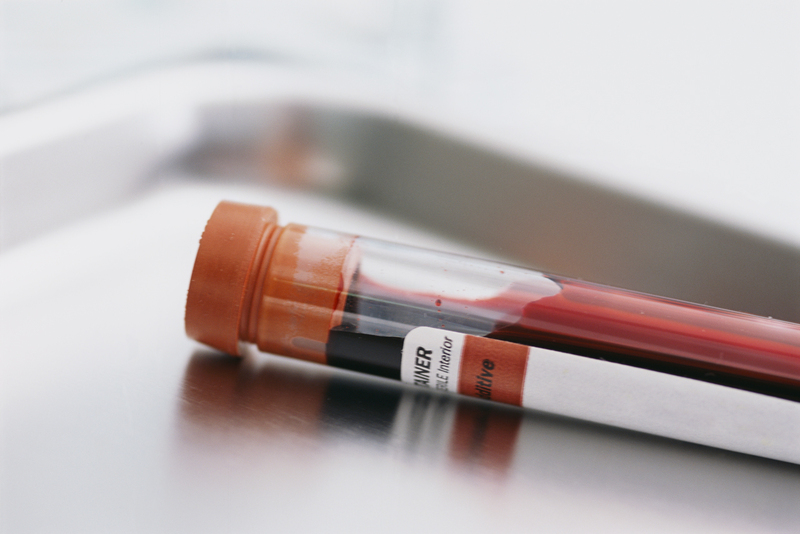 The researchers found that gains in HIV testing were not sustained over time. Levels of engagement in HIV risk behaviors remained constant, yet testing decreased among this age group from 5.5 percent in 2003 to 3.6 percent in 2006. It increased immediately after the CDC’s recommendation to about 4.5 percent, but then fell to 3.7 percent after 2009. Testing increased over this period only among non-Hispanic blacks and those with a recent doctor visit. BACKGROUND: This is one of two recent studies by the same group of researchers into HIV testing among older adults. The previous study found that HIV testing prevalence was less than 5 percent, varied by race and ethnicity, and decreased with age, with the oldest older adults, whites, and older women least likely to be tested. Overall these studies highlight the fact that more than 90 percent of people in this age group, with whom they are most likely to develop sexual or social relationships, are not receiving HIV screening as the CDC recommends. The key message for adults age 50 and older is that they may need to advocate for themselves during doctor visits in order to receive the HIV screening CDC considers essential for nearly all adults. This may be especially important for people who are not in high risk groups, as prior evidence shows that a substantial minority of such persons are living with undiagnosed HIV infection. Newswise August 27, 2015— Analysis of blood samples from more than 5,000 people suggests that a more sensitive version of a blood test long used to verify heart muscle damage from heart attacks could also identify people on their way to developing hypertension well before the so-called silent killer shows up on a blood pressure machine. Results of the federally funded study, led by Johns Hopkins investigators, found that people with subtle elevations in cardiac troponin T — at levels well below the ranges detectable on the standard version of this “heart attack” test — were more likely to be diagnosed with hypertension within a few years. The study also shows the test could identify those at risk for left ventricular hypertrophy, an abnormal thickening of the lower left chamber of the heart, a common consequence of untreated high blood pressure. The standard troponin T test — already the gold-standard screen for cardiac muscle damage from ongoing or recent heart attacks — is relatively cheap, at a cost between $10 and $20, the researchers say. The test used in the study is a more sensitive version of it and currently not available for clinical use in the United States but already used across Europe, McEvoy notes. Both versions work by spotting the molecular footprints of troponin T, a protein released by injured heart cells. However, the high-sensitivity version is calibrated to detect far lower levels of troponin. Researchers say the standard troponin test works great for figuring out whether someone with chest pain or other cardiac symptoms is having a heart attack, but results often come back “normal” for many with other forms of cardiac damage unrelated to heart attacks. The high-sensitivity test can identify these people, the researchers add, because it detects even trace amounts of troponin released by heart cells injured by spikes in blood pressure that come and go unnoticed, often for years. For their study, McEvoy and colleagues analyzed blood samples obtained in the late 1980s and early 1990s from 5,479 people enrolled in a long-term multicenter research known as the Atherosclerosis Risk in Communities Study. Designed to track heart disease risk over time, the study followed people for an average of 12 years. Similarly, compared with people whose troponin levels were undetectable on the high-sensitivity test, participants with slightly elevated troponin levels — 5 to 8 nanograms per deciliter — were twice as likely to develop heart muscle thickening within six years after the initial testing. Those with notably elevated troponin levels — 9 to 13 nanograms per deciliter — were three times more likely to have thickened heart muscle within six years, while participants with troponin above 13 nanograms per deciliter had a fivefold risk of such heart muscle abnormalities. For example, people whose blood pressures yo-yo during the day or those whose pressures don’t dip during sleep the way they normally should can be missed during regular blood pressure checks. Such people, the researchers say, are prone to developing silent heart damage from their erratic blood pressures and often progress to full-blown hypertension within a few years, but they may remain undiagnosed and untreated until they have overt symptoms. Newswise, August 27, 2015 — MINNEAPOLIS – People who will develop dementia may begin to lose awareness of their memory problems two to three years before the actual onset of the disease, according to a new study published in the August 26, 2015, online issue of Neurology®, the medical journal of the American Academy of Neurology. The study also found that several dementia-related brain changes, or pathologies, are associated with the decline in memory awareness. 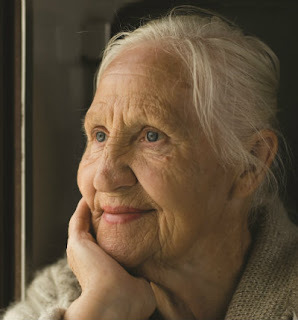 “Our findings suggest that unawareness of one’s memory problems is an inevitable feature of late-life dementia, driven by a buildup of dementia-related changes in the brain,” said study author Robert S. Wilson, PhD, with Rush University Medical Center in Chicago. “Lack of awareness of memory loss is common in dementia, but we haven’t known much about how common it is, when it develops or why some people seem more affected than others. The analysis included 2,092 participants from three ongoing studies that have each followed older adults for more than 10 years. At the beginning of the study, the participants were an average of 76 years old and showed no signs of memory or cognitive impairments. They were given yearly tests of memory and thinking abilities. Participants were also asked how often they had trouble remembering things, and how they would rate their memory compared to 10 years earlier. For the 239 people diagnosed with dementia during the study, memory awareness was stable and then began to drop sharply an average of 2.6 years before the onset of dementia. This followed several years of memory decline. “Although there were individual differences in when the unawareness started and how fast it progressed, virtually everyone had a lack of awareness of their memory problems at some point in the disease,” Wilson said. 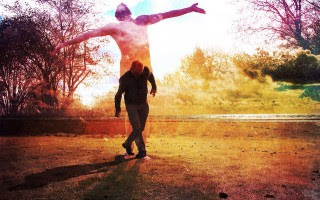 Unexpectedly, memory unawareness began earlier in younger people than in older people. That may be because older people were more likely to expect memory loss as a normal part of aging, the researchers suggest. The researchers also examined the brains of 385 participants who died during the course of the study, assessing them for seven types of brain changes common to dementia. They found three dementia-related pathologies were associated with the rapid decline in memory awareness: tau proteins or tangles; infarcts, or areas of brain damage; and changes in the protein TDP-43. As those brain changes build up, affected people lose awareness that their memory is failing. “This study underscores the importance of family members looking for help from doctors and doctors getting information from friends or family when making decisions about whether a person has dementia, since people may be unable to give reliable reports about the history of their own memory and thinking abilities,” Wilson said. To learn more about dementia, please visitwww.aan.com/patients. The American Academy of Neurology, an association of more than 28,000 neurologists and neuroscience professionals, is dedicated to promoting the highest quality patient-centered neurologic care. accines division ofSanofi, announced that Vaccine published positive results from a new analysis of data from a large-scale, multi-center efficacy trial. In this new analysis, researchers observed significantly fewer serious cardio-respiratory events possibly related to influenza ("the flu") in study participants 65 years of age and older who received a higher-dose split-virus inactivated influenza vaccine (IIV-HD) compared to a standard-dose split-virus inactivated influenza vaccine (IIV-SD). In the efficacy trial, a total of 31,989 adults 65 years of age and older were randomly assigned in a 1:1 ratio to receive either IIV-HD (Fluzone® High-Dose vaccine, Sanofi Pasteur, Swiftwater, PA) or IIV-SD (Fluzone vaccine, Sanofi Pasteur) and followed for six to eight months post-vaccination for the occurrence of influenza and serious events, including events leading to death or hospitalization (or its prolongation), or events considered life-threatening or medically important, or resulting in disability. For the supplementary analysis reported in Vaccine, cardio-respiratory events were grouped into seven categories: pneumonia, asthma, chronic obstructive pulmonary disease (COPD) or bronchial events, influenza (laboratory-confirmed influenza diagnosed outside of normal study procedures), other respiratory events, coronary artery events, congestive heart failure, and cerebrovascular events. The primary results from the efficacy trial were published in The New England Journal of Medicine, which reported that IIV-HD was 24.2 percent (95% confidence interval [CI], 9.7 to 36.5) more effective in preventing laboratory-confirmed influenza-like illness compared to IIV-SD.i In the current supplementary analysis of the trial, investigators reported that the rate of serious cardio-pulmonary events possibly related to influenza was 17.7% lower in the IIV-HD group (26.7 cases per 1000 person-seasons) compared to the IIV-SD group (32.5 cases per 1000 person-seasons). In addition, serious pneumonia was observed at a 39.8% lower rate among IIV-HD recipients (4.4 cases per 1000 person-seasons) compared to IIV-SD recipients (7.4 cases per 1000 person-seasons). The rate of hospitalization (any cause) was 6.9% lower in the IIV-HD group (95.7 cases per 1000 person-seasons) compared to the IIV-SD group (102.7 cases per 1000 person-seasons). "Influenza and pneumonia combined is the seventh leading cause of death in older adults in this country," ii said David P. Greenberg, MD, Vice President, Scientific & Medical Affairs, and Chief Medical Officer, Sanofi Pasteur US. "The results of this analysis focused on serious cardio-respiratory events and hospitalizations, and support the previously reported findings of the large efficacy study, in which lower rates of laboratory-confirmed influenza were observed following use of the higher-dose vaccine compared to the standard-dose vaccine among the seniors who participated." Follow this checklist on making the home a safe environment for those with dementia. ATLANTA, Aug. 26, 2015 /PRNewswire/ -- Home can be a scary place for someone who has been diagnosed with dementia or Alzheimer's. The possibility of wandering into unsafe areas or disappearing outside the home is a constant worry for loved ones. Lighting – Dementia can cause susceptibility to glare, sudden changes in light levels and hallucination. Make sure rooms are evenly lit and that your loved one is not going from an overly lit room to a dark one. Glare-free lighting works best. If there is a lot of glare on a table or on a surface it can distort visual perception. Installing automatic lighting can also be very helpful. Disguise Doors – Disguising a door can prevent wandering into a dangerous place. Hang a curtain or turn the door into a mural. Studies have shown that a large red stop sign sends an understandable message to even those with severe memory loss. Install multiple locks on a door, each at varying heights out of direct sight and supplement with an alarm. Flood Alarms – Flood Alarms are inexpensive insurance in any room where a water leak or overflow might be possible. Also install faucets with anti-scald devices. Handrails – Mobility issues are common with dementia. Handrails increase the ability to function. Grab bars are also helpful for getting on and off the toilet safely. Color Contrast – Depth perception is a serious problem and climbing the stairs can be a big issue. Use 2 inch color tape or paint stripes going up and down the stairs. "Baby Proof" – Install latches higher or lower than eye level. Use gates to deny access to unsafe areas. Use motion sensor devices that sound an alarm or turn on a light to alert you to someone wandering where it may not be safe. 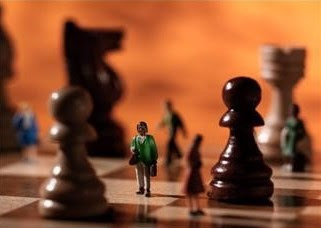 Clear Clutter – People with dementia can develop a shuffling walk and may not pick up their feet. Remove area rugs and door sills. Make the home easy to navigate through. Newswise, August 25, 2015— The American Academy of Dermatology today released new recommendations regarding dermatologic tests and treatments that are not always necessary. This marks the Academy’s second list developed as part of the Choosing Wisely® campaign, an ABIM Foundation initiative designed to help patients avoid care that may be unnecessary for them. 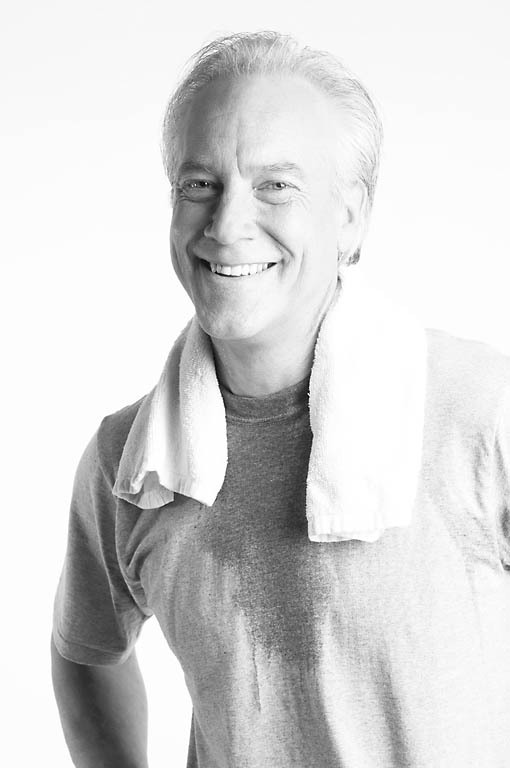 “The American Academy of Dermatology and its members are committed to serving as good stewards of limited health care resources, and we want to empower our patients to make informed health care decisions,” says board-certified dermatologist Mark Lebwohl, MD, FAAD, president of the Academy. • Don’t use systemic (oral or injected) corticosteroids as a long-term treatment for dermatitis. The potential complications of long-term treatment with oral or injected corticosteroids outweigh the potential benefits. • Don’t use skin prick tests or blood tests such as the radioallergosorbent test (RAST) for the routine evaluation of eczema. When testing for suspected allergies is deemed necessary in patients with dermatitis or eczema, it is better to conduct patch testing with ingredients of products that come in contact with the patient’s skin. • Don’t routinely use microbiologic testing in the evaluation and management of acne. Microbiologic testing, used to determine the type of bacteria present in an acne lesion, is generally unnecessary because it does not affect the management of typical acne patients. • Don’t routinely use antibiotics to treat bilateral swelling and redness of the lower leg unless there is clear evidence of infection. Research has suggested that bilateral lower leg cellulitis is very rare. Patients with swelling and redness of both legs most likely have another condition, such as dermatitis resulting from leg swelling, varicose veins or contact allergies. • Don’t routinely prescribe antibiotics for inflamed epidermal cysts. It is important to confirm infection before treating these cysts with antibiotics. • Don’t prescribe oral antifungal therapy for suspected nail fungus without confirmation of a fungal infection. Approximately half of all patients with suspected nail fungus do not have a fungal infection. survival. The five-year survival rate for patients with these types of melanoma is 97 percent, and there is a low risk of the cancer spreading to other parts of the body. • Don’t treat uncomplicated, nonmelanoma skin cancer less than 1 centimeter in size on the trunk and extremities with Mohs micrographic surgery. In patients with skin cancer on certain parts of the body, the risks of this specialized surgical procedure outweigh the benefits. • Don’t use oral antibiotics for treatment of atopic dermatitis unless there is clinical evidence of infection. Antibiotic therapy has not been shown to reduce the signs, symptoms or severity of atopic dermatitis that is not infected. • Don’t routinely use topical antibiotics on a surgical wound. The use of topical antibiotics on a clean surgical wound has not been shown to reduce the rate of infection compared to the use of nonantibiotic ointment or no ointment. This recommendation does not apply to wounds received outside a surgical office, such as scraped knees or household accidents resulting in a cut or abrasion. The items on the Academy’s Choosing Wisely® list were selected by a workgroup composed of board-certified dermatologists, who identified areas with the greatest potential for overuse/misuse, a need for quality improvement and the availability of strong evidence-based research to support the recommendation. The final list was reviewed and approved by the Academy’s Council on Science and Research and the Academy’s Board of Directors. To date, nearly 100 national and state medical specialty societies, regional health collaboratives and consumer partners have joined the conversations about appropriate care. With the release of these lists, the campaign will have covered more than 400 tests and procedures that the specialty society partners say are overused and inappropriate, and that physicians and patients should discuss. For more information on the campaign, visit www.ChoosingWisely.org. Newswise, August 25, 2015 — Modern lifestyle factors, such as texting, reaching for your keyboard or wearing high heels, can create postural stressors that often cause muscle imbalances and injury. Having good posture is essential for good health; however, understanding what good posture is and maintaining it are hard. Bad posture habits can cause imbalanced body alignment, strain on ligaments and muscles, chronic pain, injuries, impingement, low back pain, neck pain, hip pain, joint stiffness and muscle tightness, according to Kakuk. Simple exercises, stretches and being conscious of your posture can eliminate these ramifications. Stand up against a wall, and make sure your upper back, shoulders and bottom touch the wall. Your feet don’t have to be against the wall — just a couple of inches away from it. You should have a slight space in your lower back and be able to fit your hands in that space. But, make sure it’s not a big gap. Then, step away from the wall, and try to see if you can maintain that position. Keep in mind, strengthening your muscles will make it easier for you to maintain that posture overtime. Be careful of overdoing it or hyper-extending your back. In a world filled with modern technology, reaching for your cellphone and keyboard are common movements. These movements can place stress on your upper back and neck, resulting in rounded shoulders and forward head. This can cause chronic upper back, shoulder, neck pain and headaches. Also, people can text so much that they develop pain and injury in their thumbs from that overuse. Here are some tips on how to maintain the correct posture while using technology. Try to have your cellphone at eye level, so you’re not bending forward. Do exercises that strengthen your upper back and shoulder, such as chest exercises to strengthen your pectoral muscles and diaphragmatic breathing techniques to release tension. Stay aware of your posture throughout the day. Those who sit at a desk all day should be conscious of posture and the importance of getting up at least once an hour to move. “Standing up and focusing on good posture for a few minutes can relieve muscle strain and improve breathing and circulation, which also helps improve attention and engagement,” says Deborah J. Rhodes, M.D., physician and cancer researcher at Mayo Clinic. Nonetheless, having good office ergonomic habits can keep your muscles and ligaments healthy. Here are some tips on ergonomics at the office. Ensure your keyboard is at elbow height, so your hands can rest on the desk. Place your computer at eye level. Place laptops on platforms for them to be at eye level. Set your chair at a height that your feet touch the ground. Take a walk or stretch break every hour. Walking in high heels with the correct postureWalking in heels is essentially walking on your toes, which results in a chain reaction on the rest of your body. It causes the knees to hyperextend, the pelvis to tip forward, the lower back to tighten, and the abdominals to become weak. Here are some tips on how to maintain the correct posture while using high heels. When wearing heels, ensure you draw in your abdominal muscles to prevent that extra curve in your low back. Try to limit the use of your heels. Pick a heel that is smaller with a wider surface area that will help distribute your foot and weight better. Maintaining good posture can help you walk, sit, stand and lie in positions that cause the least pressure on your muscles and ligaments during movement and weight-bearing actions. “People who have better posture tend to appear more confident and knowledgeable to others. It makes them feel confident internally as well,” says Kakuk. Mayo Clinic is a nonprofit organization committed to medical research and education, and providing expert, whole-person care to everyone who needs healing. For more information, visit www.mayoclinic.org/about-mayo-clinic or http://newsnetwork.mayoclinic.org/. 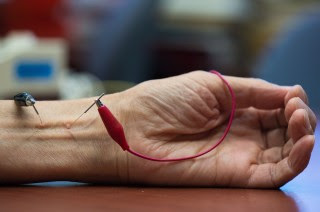 Newswise, August 25, 2015 — Patients with hypertension treated with acupuncture experienced drops in their blood pressure that lasted up to a month and a half, researchers with the Susan Samueli Center for Integrative Medicine have found. Participants were treated at UCI’s Institute for Clinical & Translational Science. Study results appear in Medical Acupuncture (http://online.liebertpub.com/doi/full/10.1089/acu.2015.1106). About the University of California, Irvine: Currently celebrating its 50th anniversary, UCI is the youngest member of the prestigious Association of American Universities. The campus has produced three Nobel laureates and is known for its academic achievement, premier research, innovation and anteater mascot. Led by Chancellor Howard Gillman, UCI has more than 30,000 students and offers 192 degree programs. It’s located in one of the world’s safest and most economically vibrant communities and is Orange County’s second-largest employer, contributing $4.8 billion annually to the local economy. For more on UCI, visit www.uci.edu.